COLUMBIA, S.C. — Zion Williamson and RJ Barrett combined for 51 points No. 1 seed Duke pulled away for an 85-62 win over No. 16 seed North Dakota State in a March Madness East Regional NCAA Tournament game on Friday. 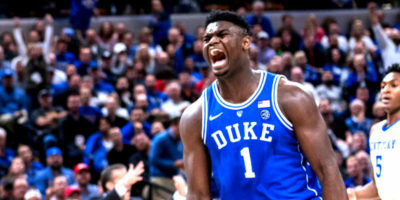 Zion Williamson will start for Duke when the No. 5 Blue Devils open Atlantic Coast Conference (ACC) Tournament play against Syracuse on Thursday night at the Spectrum Center in Charlotte, NC. MIAMI, FL — As expected, Duke reclaimed the No. 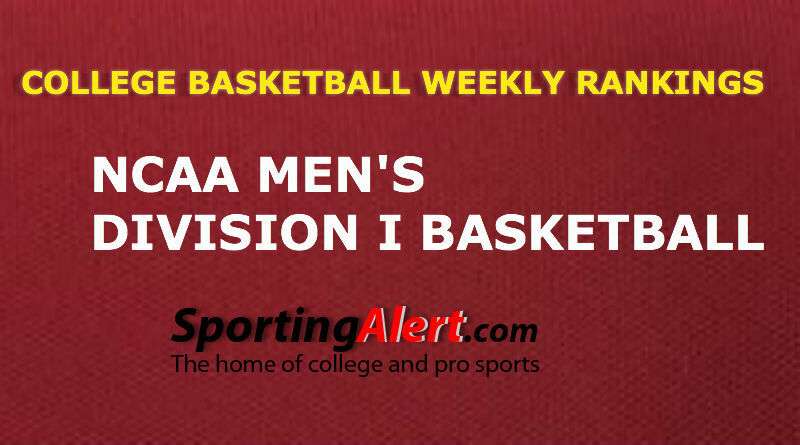 1 spot in the AP Top 25 college basketball rankings, which was released in Week 16 on Monday. 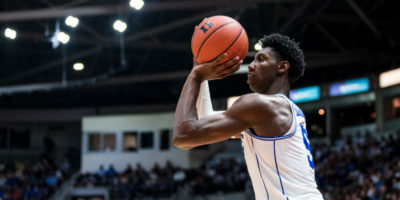 DURHAM, N.C. — Zion Williamson scored 32 points, RJ Barrett recorded a triple-double and No. 2 Duke beat North Carolina State 94-78 Saturday night to stay atop of the Atlantic Coast Conference Standings. CHARLOTTESVILLE, Va. — RJ Barrett scored 26 points and No. 2 Duke beat No. 3 Virginia 81-71 on Saturday night as LA Lakers NBA stars LeBron James and Rajon Rando watched from the sidelines. DURHAM, N.C. — Zion Williamson scored 26 points, all five Duke starters scored in double figures, and the No. 2 ranked Blue Devils blew away St. John’s 91-61 at Cameron Indoor Stadium on Saturday. DURHAM, N.C. — No. 2 Duke will look to extend its winning run on Saturday when the Blue Devils step out of conference play to host St. John’s at Cameron Indoor Stadium. Live coverage of this game is on ESPN with WatchESPN providing live stream. DURHAM, N.C. — RJ Barrett and Zion Williamson combined to score 57 points and No. 1 Duke secured a 72-70 victory over No. 4 Virginia on Saturday night to hand the Cavaliers their first loss of the season. 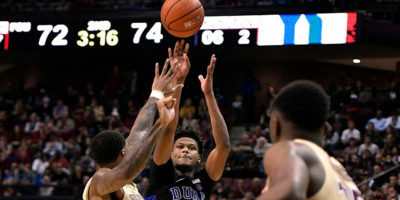 TALLAHASSEE, FL — Cam Reddish hit the game-winning 3-pointer with 0.8 seconds left and No. 1 Duke beat No. 13 Florida State 80-78 here in Tallahassee, FL, on Saturday. TALLAHASSEE, FL — No. 1 Duke will travel to take on No. 13 Florida State at Donald L. Tucker Center here in Tallahassee, FL, and you can watch live streaming coverage of this game on WatchESPN.